The dates for the 2019 South Atlantic District Teachers' Conference has been set in accordance with the teachers' conference constitution. Times for this listing are not official. Location is not yet set. More details TBA at a later time. WELS National Conference on Lutheran Leadership is being planned by Congregational Services for Jan. 21-23, 2020, in Chicago, Ill. The conference will emphasize leadership that is rooted in the beliefs of confessional Lutheranism. The dates for the 2021 South Atlantic District Teachers' Conference has been set in accordance with the teachers' conference constitution. Times for this listing are not official. Location is not yet set. More details TBA at a later time. Fill out the registration form to register for the conference. Download the conference flyer for further details on the conference. Registration is also live as well. Please register and make your hotel reservations before September 15th, 2018. Thank you. The 2018 SLAA Annual Meeting will take place on Tuesday, June 12, 2018 @ 5:45 pm in the Edinburgh Ballroom of the Innisbrook Resort in Palm Harbor, FL. Find more information about the meeting here. For more information about SLAA and the various Grants available, go here. The 2018 South Atlantic District Convention will be held June 12-14 at Innisbrook Resort. All registration and booking will be done at through our online registration site found here. Deadline for registration is May 11. Having heard a lot of positive comments about last year's event we are going back to Gatlinburg again this year. If you have not attended in the past, we would love for you to think about attending this year. It provides all our youth with an opportunity to get together outside the summer months. We have also worked very hard at negotiating the very best deals to provide an all-inclusive experience at a great price. Youth will have the option of skiing or tubing at Ober Gatlinburg, a variety of other winter games and activities, devotions, and a special worship opportunity on Sunday mornings. The cost is $125 for tubers. $165 for skiers. This includes all activities, lodging, a t-shirt and meals for the entire weekend. We are asking for those who intend to go to RSVP at the link above by January 2nd. We hope your youth can join us for some fun, fellowship, and worship and Bible study opportunities. Recently in our circles there has been more and more talk of apologetics. WLQ has also noticed the need and put out some articles on it. This is good. We are reacting in love to a North America that is increasingly post-Christian. To a degree the American South has been isolated from the worst of the onslaught, but we have reason to believe it will come. We have the unique opportunity to be prepared as the cultural creep reaches us too. Developing a truly Lutheran apologetic that will allow us to speak with all the power, love, and wisdom we can muster is a timely activity for us. Questions worth exploring will include: What are the theological limits of apologetics? What use should they have in different ministry settings like preaching, teaching, catechism, one to one evangelism, etc.? What sorts of arguments should the Lutheran parish pastor be familiar with? How will a Lutheran apologetic differ from Reformed or Evangelical approaches? We will be reviewing The Case for the Resurrection of Jesus by Gary Habermas and Michael Licona. Pastor Kehl has prepared some questions for us to use as we read and then will lead a discussion at Conference. The presenter is asked to take us through the Greek in Romans chapter 1 with an emphasis on the natural knowledge of God and natural law. He is asked to highlight through the exegesis Paul's arguments that will form the basis to a scriptural approach to apologetics. He may also include some Greek review to keep the brother’s fresh. District Teachers Conference will be held at Divine Savior, Doral, FL. Due to the impending arrival of Hurricane Irma, this event is postponed. A future time and date for this event will be set by the Board and communicated to the District after Irma passes through the District. 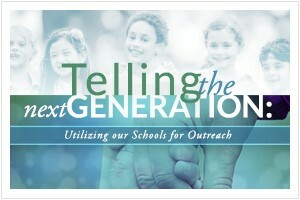 SLAA is a Florida non-profit corporation whose assets provide financial support to qualifying students in WELS secondary education schools, and to congregations and elementary schools offering Christian education or youth ministry programs for adolescents in the South Atlantic District of the WELS and Circuit 1 of the ELS. All congregations are encouraged to use the monies they had budgeted for Summer Quarter in the South, to send a worship team to the National Worship Conference. The District Praesidium has designated the national worship conference as our district conference for summer 2017. There will not be another district conference meeting in 2017. Reviewer Rev. Berg will guide us through a discussion of the book and development of a Bible Study out of it. Pastor Holz will lead us through a joint text study (google doc) in preparation for preaching on this Good Shepherd text. Rev. Born will prepare some questions on best practices and lead the round table discussion as we try to learn from one another in the ways we handle some of our pastoral responsibilities. There have been some changes to the agenda, most notably that dinner on Jan 9th has been moved forward to 4:30pm and worship to 6:00pm. See the updated agenda here. Also, please note the clarifications to Conference costs below (per person vs. per congregation costs). The Cottonbelt Conference will meet January 9-11, 2017, in Mobile, Alabama. The conference will officially begin with supper and worship Monday evening, starting at 5:30pm at Saving Grace Lutheran Church. The hotel reservation deadline is Dec 8, 2016. Please click through for hotel information and reservations. The hotel will provide transportation to and from the airport as well as to and from church. Restaurants are located within walking distance of the hotel. If you fly in, you would not need to rent a car. The closest airport is Mobile (MOB). Lower prices could be found at Pensacola or Gulf Port-Biloxi. You may also click through to read about the conference topics. A detailed agenda for the conference is coming soon. $20 PER CONGREGATION written out to Conference c/o Ben Zahn. Please send that to Amazing Grace Lutheran Church, 2240 Carolina Forest Blvd, Myrtle Beach, SC 29579. Takes place prior to the Called Worker Spiritual Growth Conference. The South Atlantic District Called Worker Spiritual Growth Conference which will be held on October 12-14 at the Hilton in Altamonte Springs, FL, for all pastors, teachers, and staff ministers. To view the conference packet click here.